188 Military Hospital LikabalI Assam is going to declare the result for Sweepers, Chowkidar, Mazdoor post. Eligible Candidates after successfully submitted the application form participated in the exam and now are desirous for the result. The result has not declared yet but whenever they declare, we will inform you through our website. Candidates just stay connected with our website for collecting further details about the Military Hospital LikabalI Result. 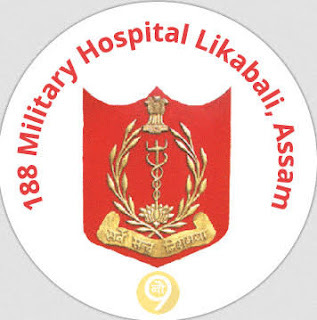 The 188 Military Hospital LikabalI Assam shall release the cut-off list along with the result. Cut-off marks will be decided whether the candidates eligible for next round or not. Candidates must check the cut-off marks category wise. The qualification or disqualification will be depended upon the cut-off list. Applicants have to score high marks than the criteria of the cut-off list. Go to the Official Website of assam.gov.in. As when you find the result, click on it. Required link for relevant Exam Result will appear. Click on it and Check your result. 188 Military Hospital Likabali Assam Recruitment 2017:– 188 Military Hospital Likabali has issued a notification for the recruitment of Stenographer, Sweeper, Clerk, Chowkidar, Mazdoor, Painter, Carpenter, Safaiwali, Ward Shayaika, Messenger, Washermen, Barber, Tailor Vacancy at 48 posts. Interested candidates may apply by 15th December 2017. 2. Last Date for Submission of Application:- 15th December 2017. The application form duly filled in with recent passport size photograph and relevant documents to be addressed to Commanding Officer, 188 Military Hospital, Pin-900188, Clo 99 APO, Likabali (Assam). Attach all relevant certificates, duly attested along with self-addressed empty envelope affixing posted stamp of Rs.25/- for the dispatch of call letter. The envelop of application will be subscribed with APPLICATION FOR THE POST OF___________ while sending the application form. The last date of receipt of application is30days from the publication of this advertisement. C/o 99 APO, Likabali (Assam).